Did you know each member of the NABSSAR is a vital part of the NABSSAR? As you go about your everyday business, you may not think about your membership. 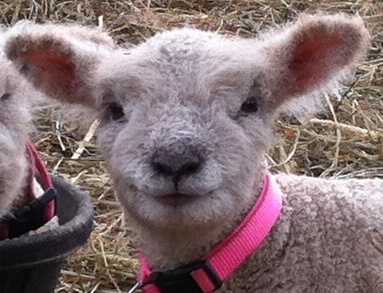 You may think all you need to do is pay yearly dues and register lambs as they are born on your farm. However, membership in the NABSSAR is more than dues and fees — it is about establishing and maintaining guidelines for our breed of sheep. 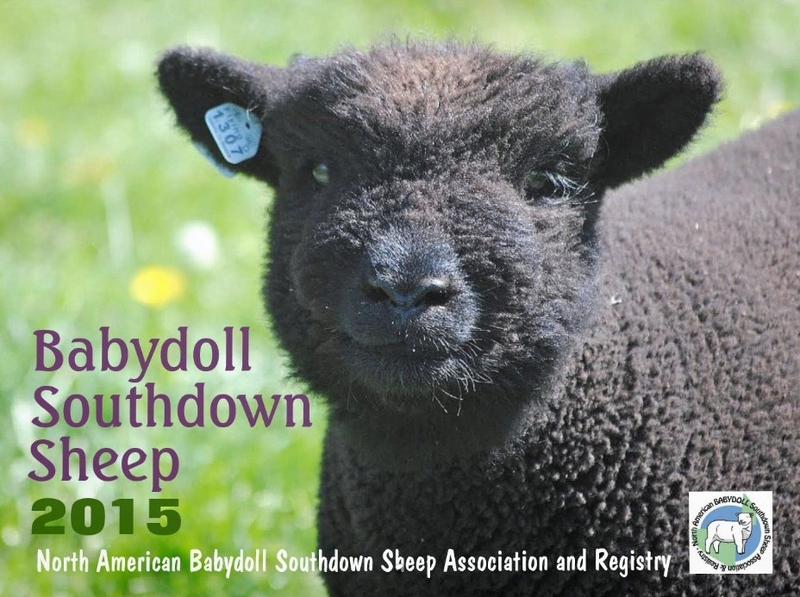 In order to preserve the BABYDOLL Southdown, breeders need to network and discuss presenting situations. The NABSSAR is a non-profit organization. Plain and simple, this means your money goes directly to the Registry you are part of. 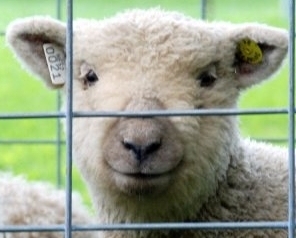 We do contract the Associated Sheep Registry (ASR) to hold our database on a computerized system. This allows a safe, secure place to keep breeding records stored as well as provide our members with the best service since ASR has regular office hours. Our board positions are filled by volunteers available to help you with any questions. We really try to keep our costs down. Take a look at our fee schedule for the services we offer and the affordable prices. The Board of Directors may be responsible for organizing and maintaining various aspects of the Registry, but member involvement is very important. You may be wondering how you can get involved. There are a number of ways to get involved in the NABSSAR. 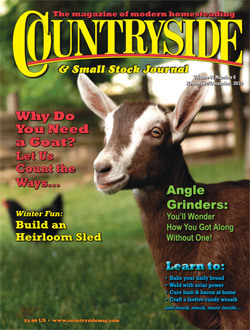 Here are a few examples: check out the website, then e-mail or call the website coordinator with suggestions or comments; submit an article or story to The Paddock; call or e-mail a member of the Board with questions, comments, or concerns; enter your farm in the “Featured Farm” section of The Paddock; run for a Board position during an election year; and vote on polls or quorums. Remember: the NABSSAR is YOUR registry. Make it happen! Our little sheep are counting on us! We advertise for our members! 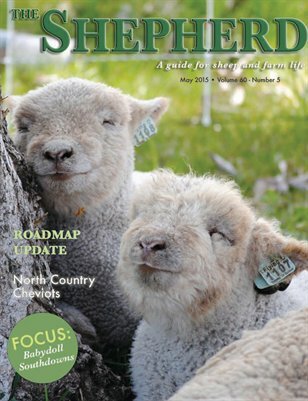 As part of promoting the breed and our members, we advertise in some of the top magazines people looking for sheep will be reading. Perhaps you have seen one of our adorable ads in one of the magazines listed below? 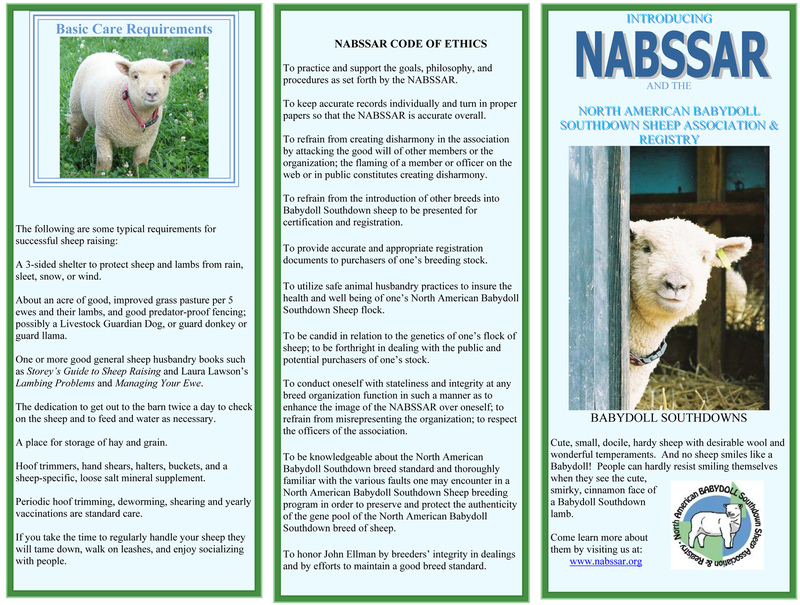 The NABSSAR website is listed in these ads, and potential buyers can contact and purchase sheep from members located near them just by looking up the website and finding them on the Membership List. With a paid membership, your name will be listed on our membership website page with the contact information you choose to list along with a link to your e-mail address for FREE. Should you like to add a link to your website to sell your NABSSAR registered sheep or sheep related products, no problem, we will maintain a link for you for just $10 a year as an optional service. 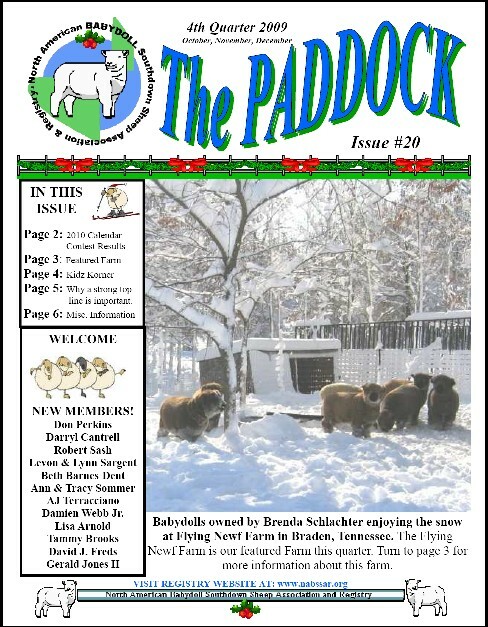 Members receive THE PADDOCK, a FREE newsletter produced by the NABSSAR. The Paddock, our newsletter, is e-mailed in PDF format free to all paid memberships. We keep the NABSSAR's expenses down by e-mailing the newsletter to your on file e-mail account four times per year. The Paddock provides a means for breeders and newcomers alike to exchange information, ideas, and experiences. 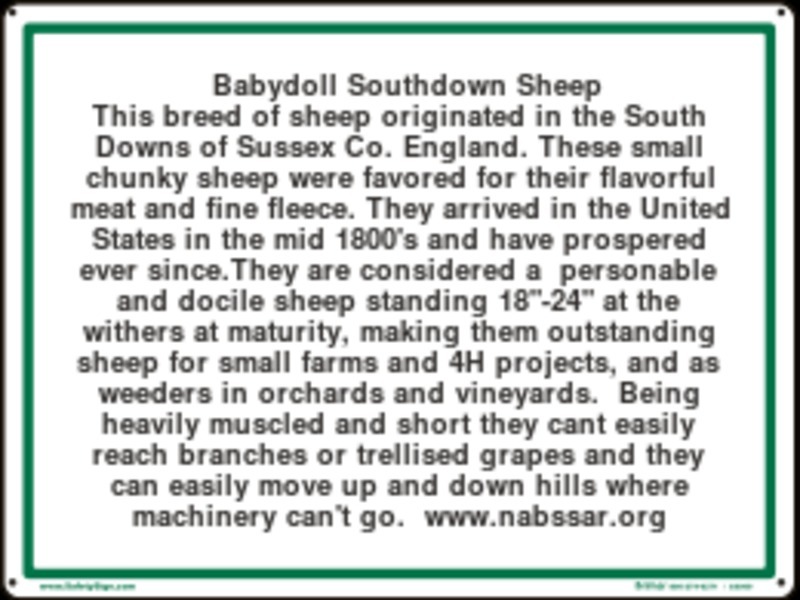 Many of our members like The Paddock so much they print them for future reference as they have tips and articles related to raising BABYDOLL sheep. This is one of the ways we keep in touch with our members and member participation is welcome. Any announcements, articles, or information about upcoming shows or results of shows attended by our members can be submitted to the editor. CLICK HERE to request PDF back issues of The Paddock. Be sure to put PADDOCK in the subject line. Within the e-mail, let us know what issue numbers you are requesting. Be sure to include your name and your membership number. 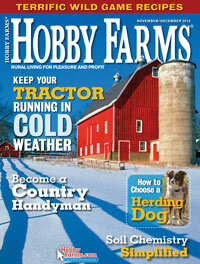 Back issues are only available to members with the current year's membership dues paid. 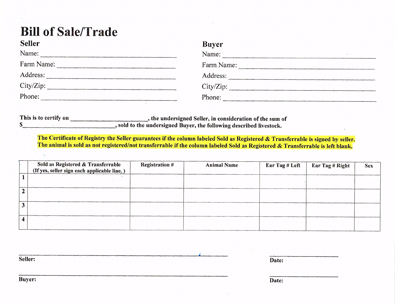 When a member registers their sheep, the Certificates of Registry (CoR) come standard with more information other registries may charge for. 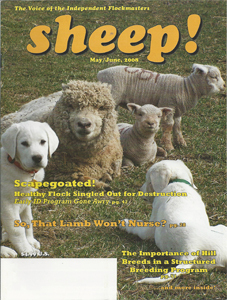 The NABSSAR standard registration has up to 5 generations of pedigree information listed, the color of a sheep, whether it is a single, twin, or triplet, and the genotype (if known). 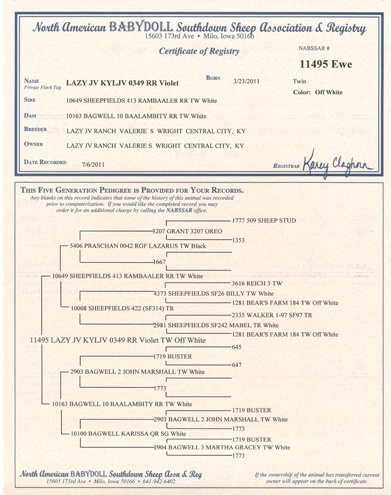 As a buyer, seller, or someone interested in breeder lineage or parentage color, our papers allow for farms to promote and sell their stock as well as buyers to study pedigrees at a glance. 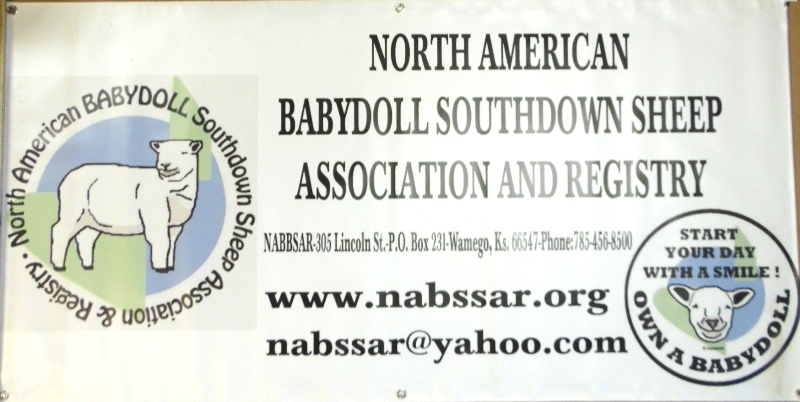 Members can "borrow" our NABSSAR banners for their own events, expos, or shows. We have two vinyl banners available for use by any active NABSSAR member free of charge. The larger banner measures 8 feet wide by 2 feet high and the smaller banner measure 5 feet wide by 30 inches high. The only cost to members will be the postage to mail the banner back to the NABSSAR once they have finished using it. We only have one banner of each size; so, if you have an upcoming event and would like to use the banner, please contact us ahead of time to schedule your days of use. or by phone: (314) 739-0001 (ask for Bruce). We also have a metal educational sign measuring 24 inches wide by 18 inches high available for use. Cost to active NABSSAR members for its use is the postage both ways. We only have one sign so if you have an upcoming event and would like to use the sign, please contact us ahead of time to schedule your days of use. or by phone: (785) 883-4811 (ask for Diane). This tri-fold is available to print from this website. Tri-folds can be used for a number of things. 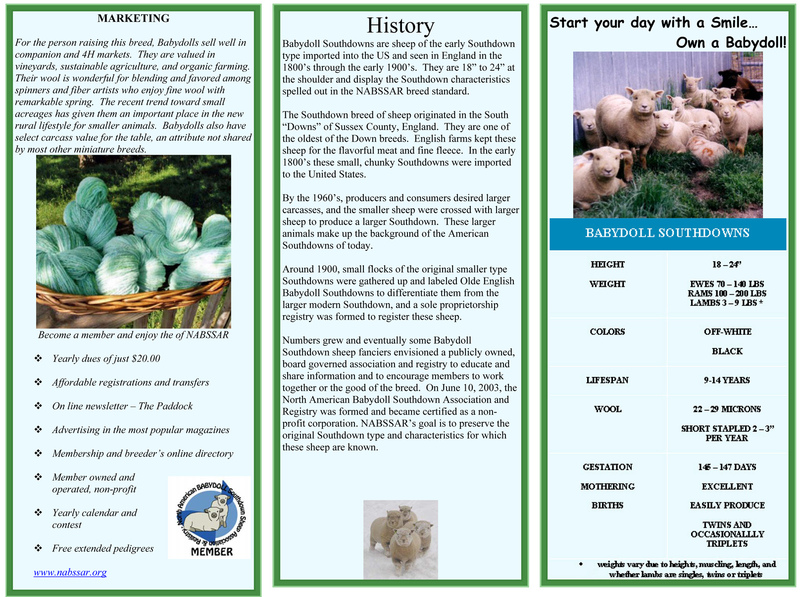 They are a wonderful addition to your lamb packet you give to new owners. 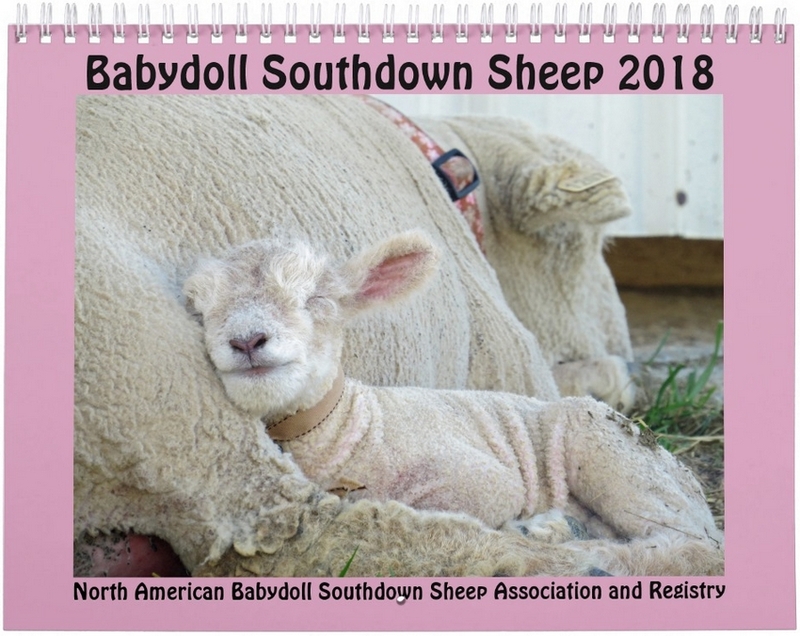 They also are nice to print and take to events and expos to lay out for people to pick up who want to know more about the NABSSAR and the BABYDOLL Southdown Sheep! 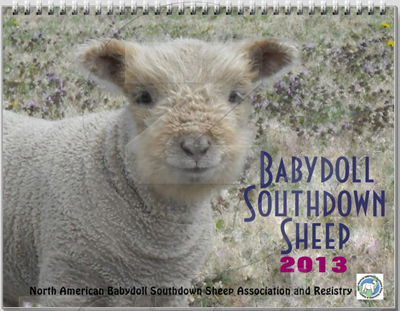 Calendar Photo Contest - Open to all Current Members Year Round! 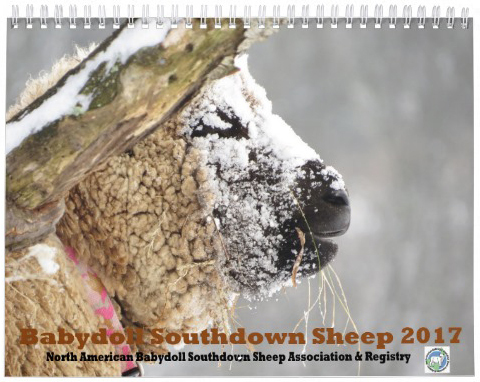 Have you seen and enjoyed our yearly NABSSAR calendars? 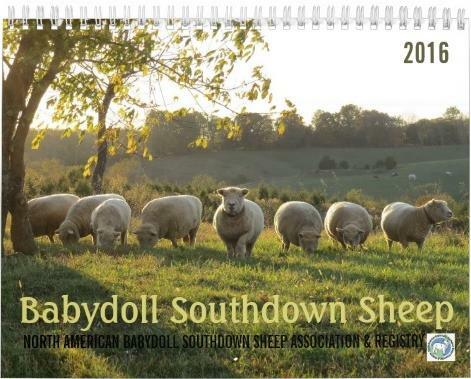 Would you like to see your sheep pictured in the next calendar? If you are a NABSSAR member it is easy to do! 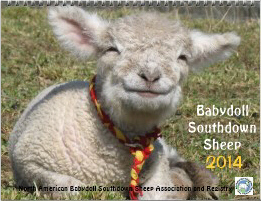 All pictures seen in our calendars are sheep belonging to the NABSSAR members. We collect pictures throughout the year and in October they are pooled together and voted on to appear in the next year's calendar. Any member can enter their photos. Just follow the rules below. Set your camera at the highest quality setting. Photos must be largest size possible and clear. We cannot accept small-sized photos because when they are enlarged to fit the calendar page, they get blurry and are unusable. Cellular phone photos may not acceptable depending upon the quality of photos your camera takes. dpi must be 200 or above. Send the original & DO NOT crop your photo. If any touch up or cropping needs to be done to the photo, we will do it so the photo correctly fits on the calendar page. Make sure your photos are calendar quality. Make sure the entire sheep is in the photo unless you are taking just a head shot, which is acceptable. Check your surroundings when taking photos. Make sure there aren't distracting things in your photo like a water hose on the ground, paper lying around, etc. Try to have an interesting background, but not a distracting background taking away from the sheep being the main focus. 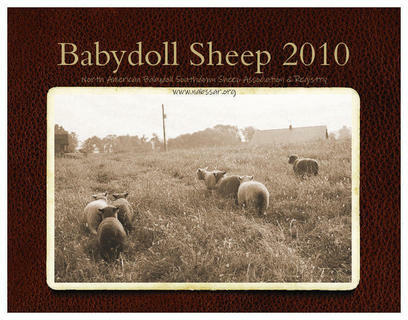 Photos need to contain BABYDOLL sheep, no people please. Other animals within the photo are acceptable. Did you take the photo? Photos with other's copyrights or info on them cannot be used. Photos coordinating with the seasons of the year are desired. Make sure you include your name & your farm name with the photos. Snail mailed photos will not be returned unless you supply a self-addressed, stamped envelope and request to have the photos returned. All photos become property of the NABSSAR. 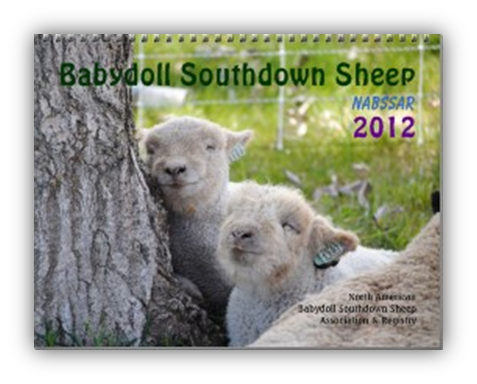 With submitting your photos, you are allowing the NABSSAR to use the photos in the calendar, on the website, and in The Paddock and any other NABSSAR publications or promotions. 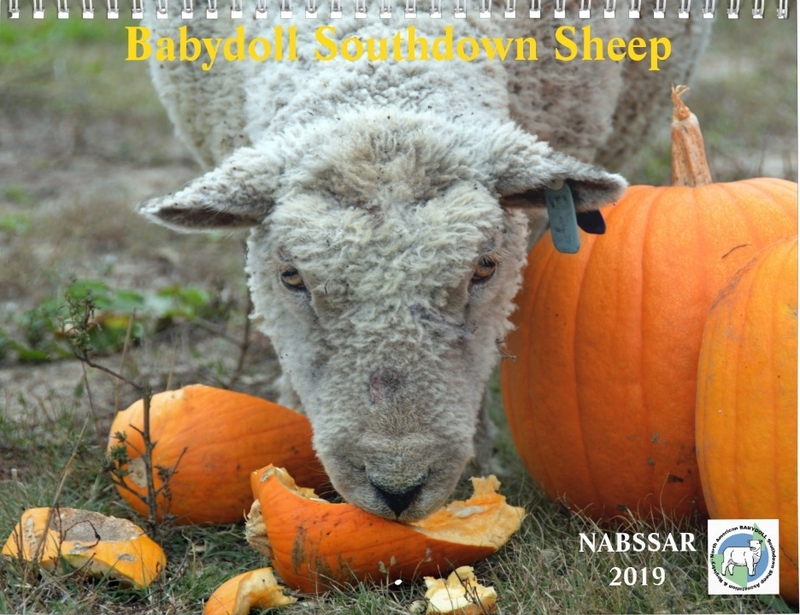 Visit the NABSSAR STORE to order your 2019 Calendar and see our other items for sale. 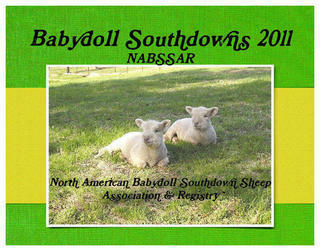 All members can display the NABSSAR logos on their websites and link back to this website to promote the BABYDOLL Southdown breed and your Association and Registry. Logos posted below are for membership use on personal websites. Click on the thumbnails for full size logos and then you can 'right click' and 'save as' and file them on your computer for future use.